Halloween Contest Alert! What's The Most Proud Province? Summer is here, Canada day is coming up, and we’re on the lookout for the proudest province in Canada. Vote to win the Most Proud Province in Canada title for your ‘hood, and earn a chance to win a Mystery Halloween Alley experience (worth up to $300) for yourself! 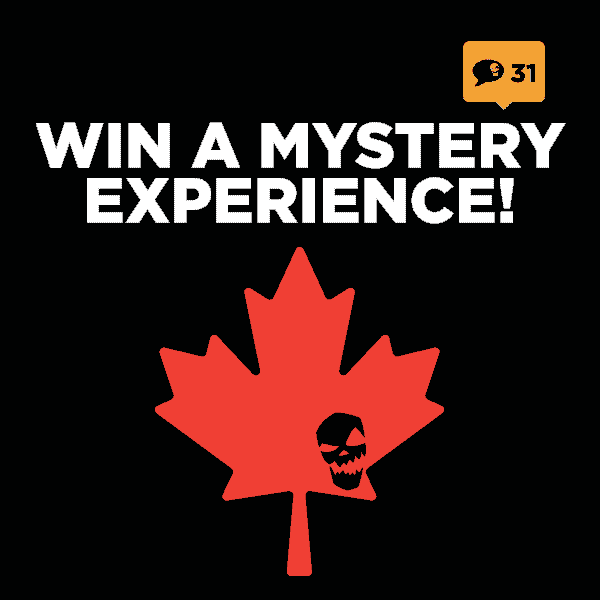 To be eligible for the Mystery Experience prize, you’ll have to comment with your city and name one fun thing to do in your city for Canada Day. What’s a fun thing to do in your area? It could be a tourist attraction, a little-known food market, a weekly meetup or an awesome get-together. Kayaking, carnivals, food festivals – it’s all fair game! Anything that allows you to Celebrate Life with your friends and family! Let’s show the world how we Celebrate Life. Canada Style! Help others find fun things to do in your area, crown your city with fame and glory, and earn a chance to win an amazing Mystery Experience! And happy early birthday, Canada! *Contest runs June 20th to July 3rd. Must be a Canadian resident to enter. No purchase necessary.